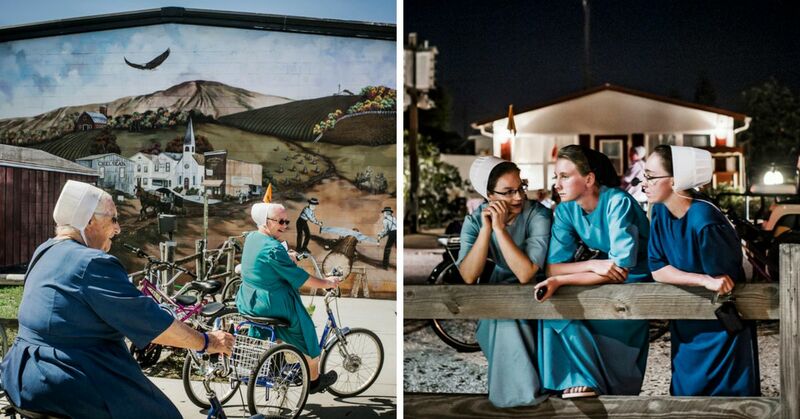 Despite the fact that the Amish make up less than one percent of America's population, their solitary and unusual way of life attracts a lot of interest from the outside world. It turns out there's a lot we misunderstand or just get wrong about the Amish and their traditions. 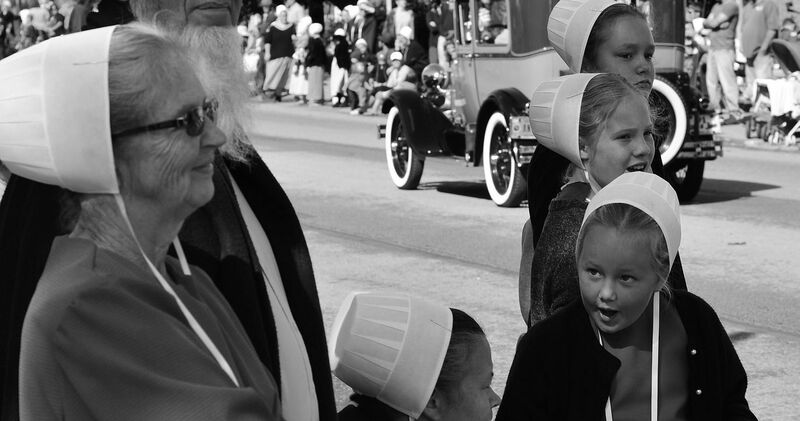 Most of the questions that outsiders (or "English," as the Amish call them) ask are about the Amish dress code. While it's pretty simple, you might be surprised by what's allowed and what isn't. 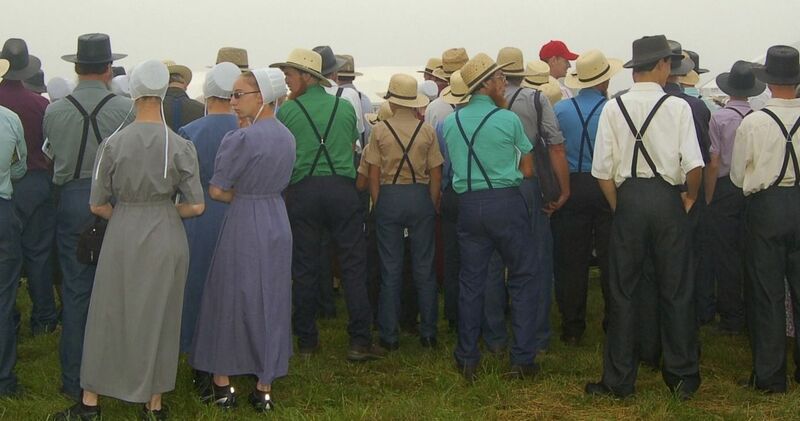 The rule of thumb for all Amish clothing is that it should be plain, to avoid calling attention to yourself or standing out from the crowd. 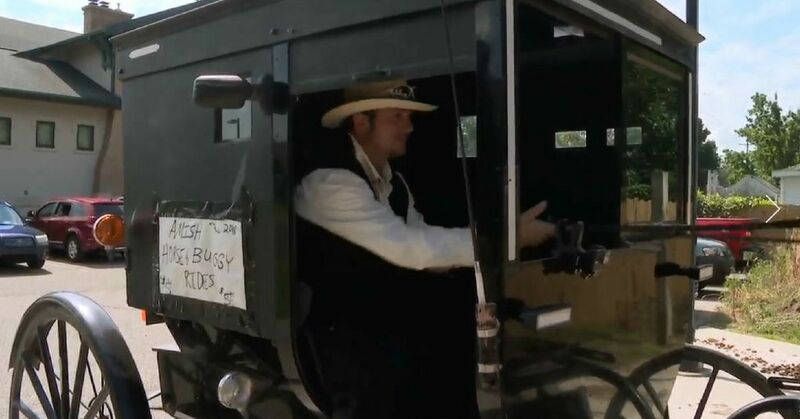 The Amish believe this promotes modesty, and helps them live apart from the rest of society. 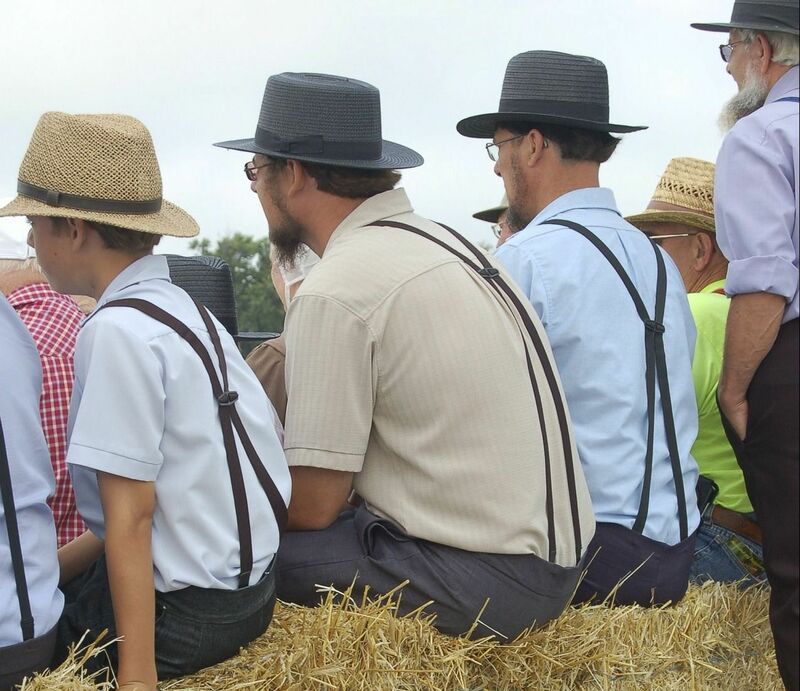 Even buttons, neckties, zippers, and belt buckles are too flashy for most Amish, so you won't see men wearing them. Instead, they dress in dark trousers with suspenders, a dark vest or coat, and a straw or felt hat (depending on the season). Their jackets - called mutza suits - don't feature collars or lapels, and use hook-and-eye fasteners instead of buttons. The Amish don't wear wedding rings, but you can spot a married Amish man by his beard. Boys stay clean shaven until they're married, then grow a beard - but not a mustache, which is too flashy and associated with the military by the pacifist Amish. 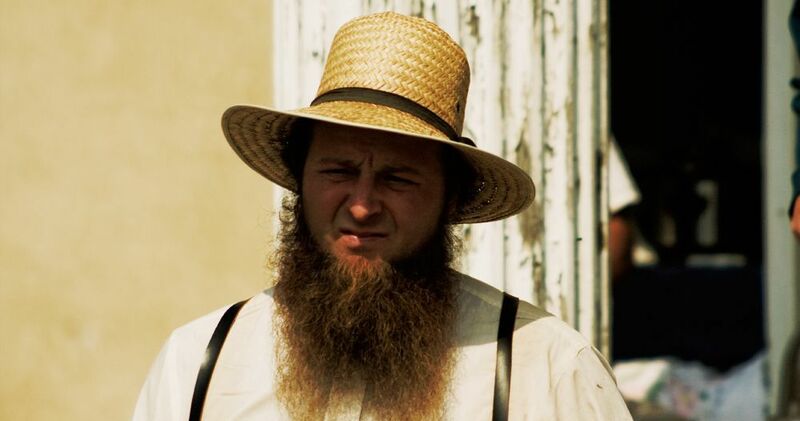 Amish men take their beards seriously, and cutting one off can be considered a hate crime. And Amish women have a dress code that's just as strict. 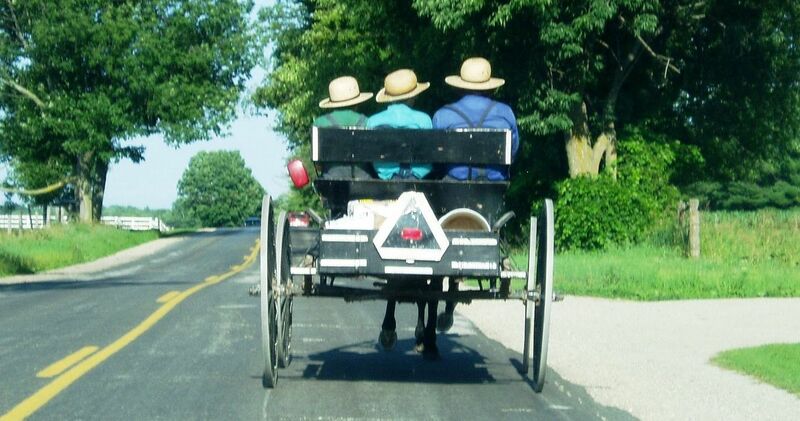 Most Amish women never cut their hair, and instead wear it in a braid or bun under a bonnet. 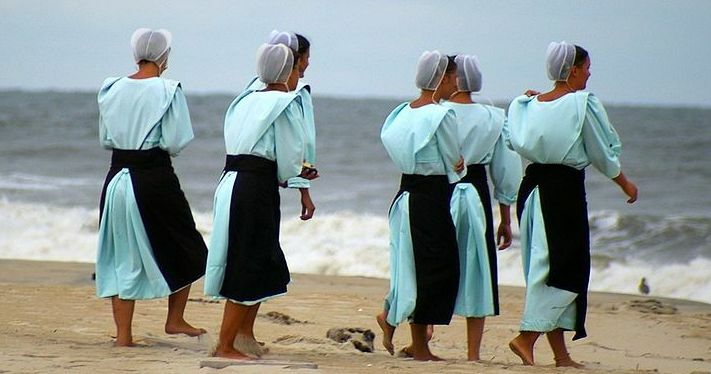 Amish women only wear dresses, and must follow strict rules about sleeve and skirt length set by their community. 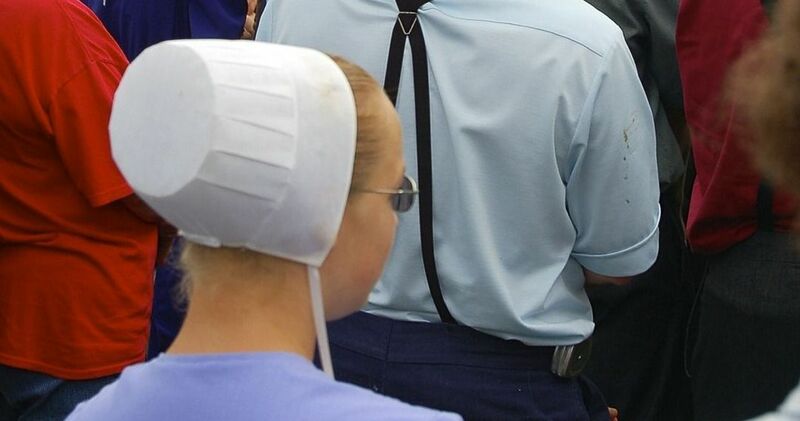 Most Amish women are required to wear full sleeves and calf-length dresses, with plain fabrics made from one solid color. In fact, color plays an important part in an Amish woman's wardrobe. Young boys and girls usually wear lighter colors than adults, and begin wearing darker colors as they get older. 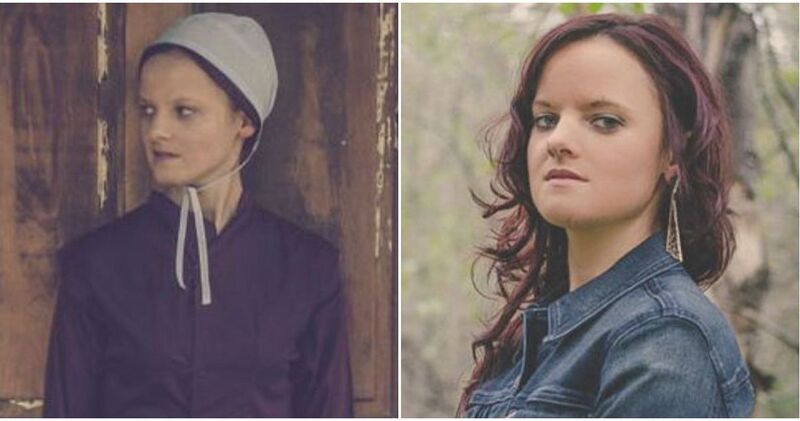 Depending on their community, an Amish woman may swap a white bonnet for a black one after being married. The most important quality for Amish dresses is that they're plain. They're designed to be easy to do chores in, and most women own very few dresses. An old saying says an Amish woman needs just "one for wash, one for wear, one for dress and one for spare." Wearing jewelry is forbidden in most Amish communities, but there are some common accessories in an Amish woman's wardrobe. Aprons are a common part of an Amish woman's outfit, and as the weather gets colder they'll put on capes and wool cloaks to stay warm. It's not exactly glamorous, but that's just how they like it.